A commercial business park may seem to be an unlikely place to find man’s best friend coming to work—but seven bomb-detecting dogs (accompanied by their handlers) greeted company owners and media to a new training facility on Ramland Road. The dogs, canine bomb detectors, train under MSA, headquartered in New York City; the company’s work takes it to 42 states and 30 different countries. 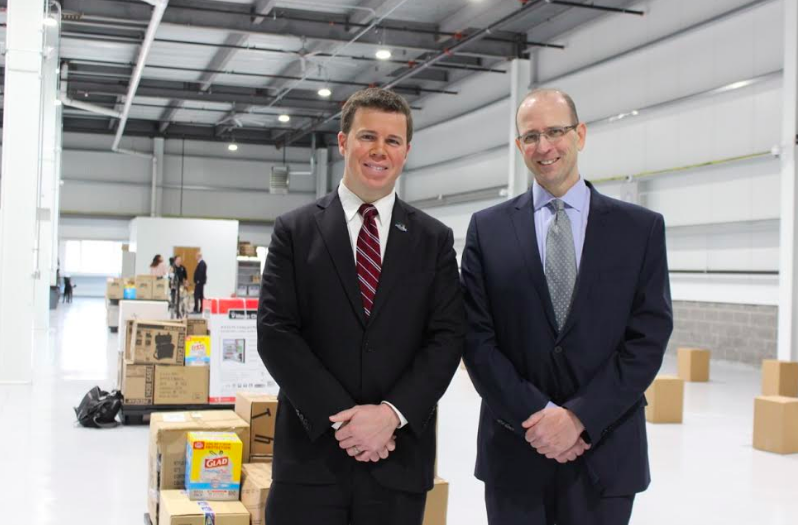 Since the Big Apple is always on high alert, MSA Chairman Michael O’Neil looked north to Rockland to build another facility so handlers would be closer than the MSA facility in Connecticut. Chosen as puppies to become part of their handler’s family, the dogs are trained to sniff out the ingredients essential to would-be bombers. The ingredients used at the training facility are inert and pose no danger to the facility or the public, but training centers are needed to continually keep the dogs on high alert to the odor of the five different substances that go into the lethal (and illegal) construction of bombs. O’Neil and his staff chose Orangeburg, just 15 miles from the border of NYC. “This is a great location for us,” he said. “And the need for a closer training facility to the city was imperative.” MSA is certified by the ATF (Federal Bureau of Alcohol, Tobacco, Firearms—and Explosives, a division of the Justice Department). It has over 600 teams of handlers and a staff of 1,300. The handlers who brought the dogs to their new training site were happy to have a place “closer to home” than Connecticut, even though some hail from Staten Island and New Jersey. 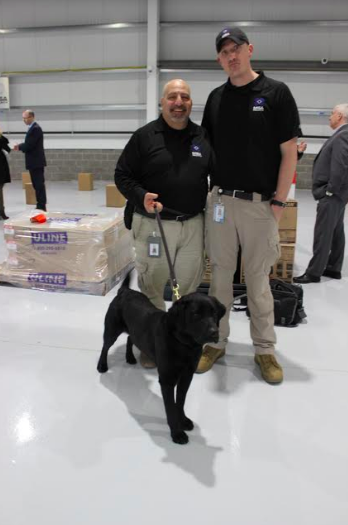 “This facility is fantastic,” said handler Michael Segreto, accompanied by his Labrador Retriever, Pio. Pio lives with Segreto, his wife and daughters, and the bond between handler and dog is key to their success and attention to duty. The floor of the training facility had several empty cans (with one or two containing materials the dogs are trained to sniff out) as well as pallets of boxes and other containers used to conceal the deadly ingredients for the dogs to root out. Pio is trained to sniff out the contents of trucks. “We are constantly reinforcing the dogs’ senses—and this is the kind of facility we bring them to so they will remain sharp and alert,” said Segreto. After a training session, the entire facility is disinfected to remove any unwanted trace of odors, so the next batch to come for training comes into a contaminate-free facility.